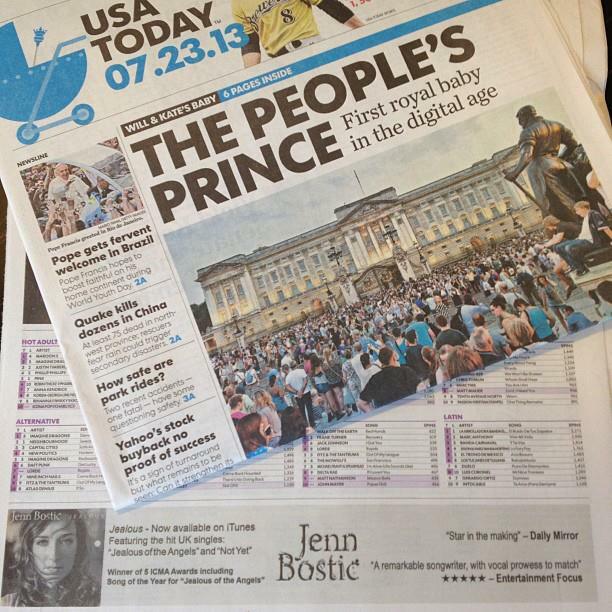 Jenn Bostic : "JEALOUS" FEATURED IN USA TODAY! "JEALOUS" FEATURED IN USA TODAY! A little over a month after "Jealous" was released in the US and Canada, USA Today promoted the album, quoting the Daily Mirror who named Jenn a "Star in the making!" Coincidentally on the same day "Jealous" appeared on the back page, the Royal birth announcement was on the front page. Perhaps a little foreshadowing of a future UK tour later this year.